Contrary to popular belief (over-cooked veggies, over-cooked meat), London’s restaurant scene is absolutely incredible. As one of the most international cities in the world, you can find just about any type of cuisine in this hotspot. 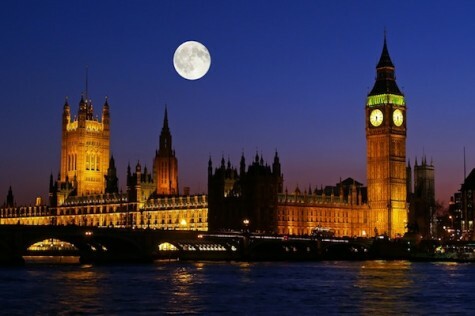 London’s West End is known not only for its amazing restaurants, but also its amazing theaters, shops, and landmarks. Unfortunately, it is notoriously the most expensive part of London. As a college student living in the West End my junior fall, I spent my term searching for ways to eat well in London without…well…going broke. Here are my top five picks (and a special dessert extra) for the best college student-friendly restaurants in the West End that offer great food, superb atmosphere, and most importantly, reasonable prices. 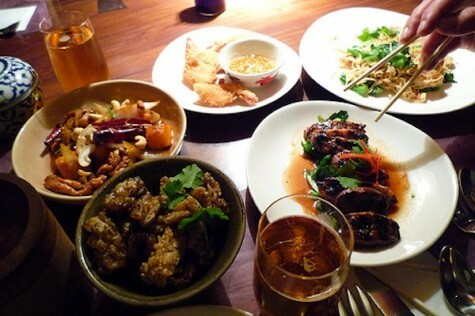 Busaba Eathai offers great ambiance, tasty drinks, and above all, superb and affordable Thai food. The jungle curry is the spiciest dish but packs a flavorful punch, and the butternut pumpkin curry is an unexpectedly delicious combo that merges the smooth, creamy texture of roasted pumpkin with the tangy taste of coconut-chili broth. Don’t miss the duck massaman either. In terms of sides, the coconut rice is absolutely fantastic. You can cool things off during your meal with one of Busaba’s signature drinks — I would recommend the lemongrass and ginger pressé. It’s the perfect refreshing compliment to a spicy Thai meal! As a Texas native, I am extremely picky about Mexican food. So I was pleasantly surprised when I found this gem of a Mexican restaurant — in London, of all places. I can honestly say that this is one of the best Mexican joints that I have ever been to, mostly because the food is incredibly authentic, and you don’t leave your meal feeling extremely bloated, as you typically expect with Mexican food. Most of the food is tapas style, so you can order a lot of dishes for your party to share. I would suggest getting the Wahaca selection. 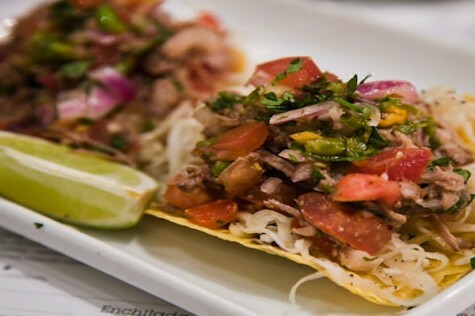 It comprises all of Wahaca’s (aka Oaxaca’s) greatest hits, including the pork pibil tacos, winter vegetable tacos, and an especially tasty mushroom and melted cheese quesadilla. As if the food wasn’t enough, this place also makes one mean margarita. It will set you back about six pounds, but with the 100% agave tequila Wahaca uses, it is well worth it. When you and your friends can’t agree on a restaurant, Zizzi is the go-to place that has something to please every palate. 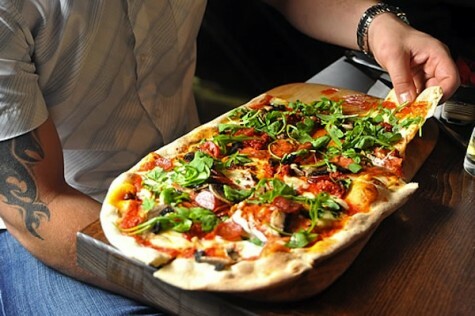 It’s got all of your classic Italian favorites with a few surprises, including the Diavola pizza, which has spicy pepperoni, arugula, and green chilis, and the pumpkin, pancetta and sage risotto topped with creamy mascarpone cheese. By way of drinks, Zizzi offers a wonderful 2008 Montepulciano, Abruzzo. It’s the cheapest — but in my opinion the best — bottle of wine on the menu. One final note: on Wednesdays, Zizzi offers a deal called “Sing For Your Supper.” If you sing a song karaoke style from Zizzi’s select list, the restaurant will pay for your meal! London is known for some of the best Indian food in the world. Unfortunately, it is difficult to find the most authentic places. Masala Zone serves up both authenticity and affordability with great ambiance. Located in the trendy area of Covent Garden, Masala Zone is an excellent dinner spot for college students. 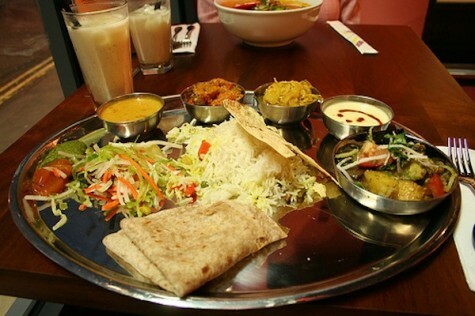 I would recommend getting a Thali, which is essentially a large platter with samplings of many different Indian dishes. They are big enough to share and allow you to taste a little bit of everything without breaking the bank! 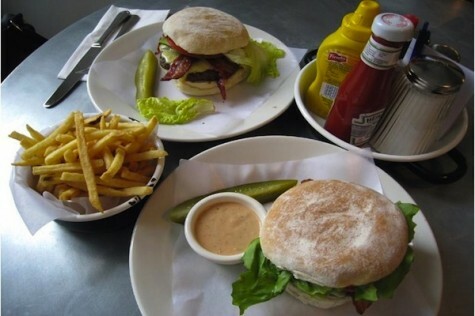 Byron offers honest, no-nonsense hamburgers in a classy atmosphere. The Byron burger is the star of the menu, featuring dry cure bacon, salty cheddar, and tangy Byron sauce. And its salads are not to be overlooked either: the roast squash and feta salad as well as the beetroot, goat cheese, and lentil salad are both winners. 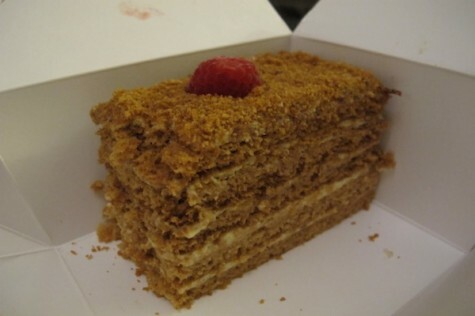 If you are looking for something sweet after dinner, skip your restaurant’s dessert menu and look no further than the Honey Cake at L’Eto Caffe in Soho. This is one of the best desserts I have ever had in my life. Period. Imagine a cheesecake, but much lighter and with graham cracker crust dispersed throughout the cake instead of just on the bottom. And a fresh raspberry on top. It has this buttery, airy quality without being too rich, and the honey flavor is accented yet not overpowering. It is one of those desserts that you have once and just want to have the experience all over again. Don’t miss this place! Priya Krishna is a junior at Dartmouth College. She studied at the London School of Economics the fall of her junior year, where she sampled the many interesting cuisines of the international cultures that London offers. She has yet to find a food market she didn’t love.